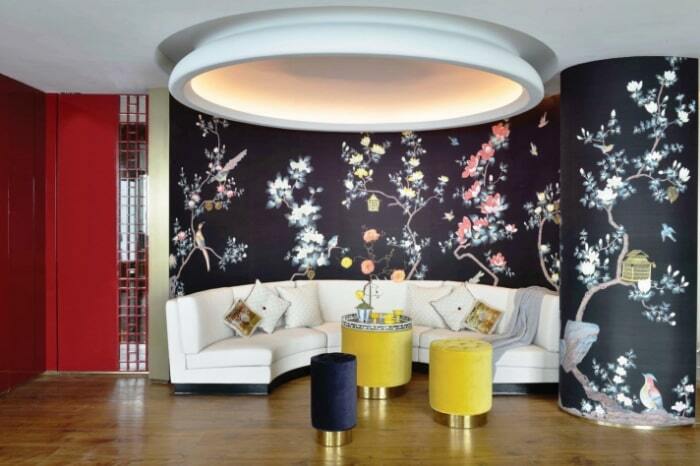 Hong Kong’s very own luxury home decor maison, Lala Curio, partnered with COLOURLIVING, the city’s one-stop lifestyle concept store, to unveil its latest collection of vibrant, elegant, handcrafted wallpaper designs. We sat down with Laura Cheung, founder and owner of Lala Curio, to find out more about the brand’s philosophy, inspirations and intricate designs. How did your passion for interior design and home decor come about? 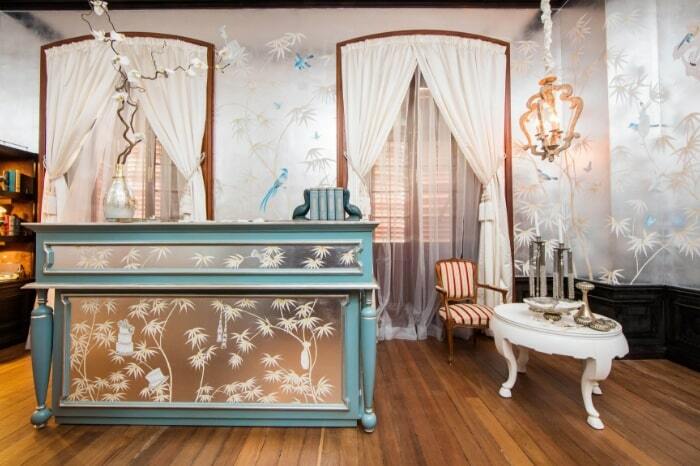 Actually I come from three generations of specialists in home decor and decorative arts. My father’s side of the family specialises in rosewood furniture, while my mother’s family are experts in cloisonné, a rare from of Chinese craftsmanship focusing on intricate inlay work. 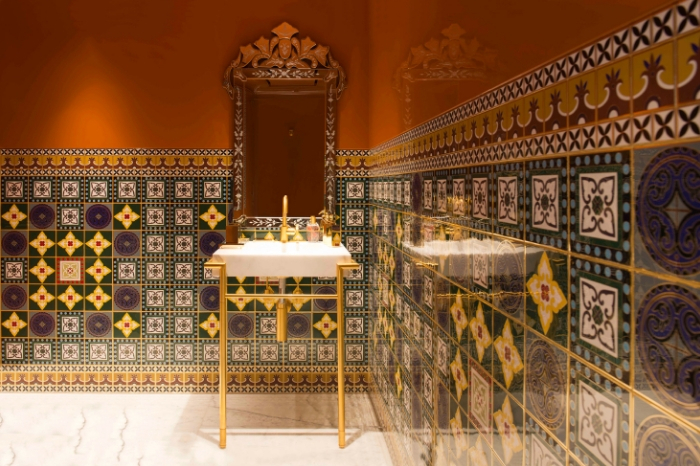 Growing up playing with cloisonné toys and interacting with Ming dynasty rosewood furniture, I knew interior design was my goal pretty early on. I just love the theatrical side of the business, but I also love beautiful, tactile things. That’s right, I did fashion event production. I was the design director and only designer of the company. It was such a hectic schedule with New York Fashion Week and then continuous corporate events and so forth. In your early 20s, it’s the perfect place to learn, but after a while I realised I wasn’t taking in anything new and that it was time for something new. That’s when I moved back to Asia and took some time off to figure out my next step. So that next step was Lala Curio? Not exactly. I decided my mission was to reinvent the lost crafts of Asia, and that’s what Lala Curio is all about. But first, I wanted to travel to the specific regions where these rare craftsmen lived. My family connections within the industry really helped me out, and for a while I was just travelling the length and breadth of China to find these artisans and learn from them. Tell us about Lala Curio and its philosophy. Well, the name Lala Curio is based on my childhood nickname, Lala, which also has a spirit of whimsicality, and Curio, based on an object of curiosity and also the art of curation. I think our brand encompasses all these characteristics, but most importantly, we are focused on artisanship and lost crafts. 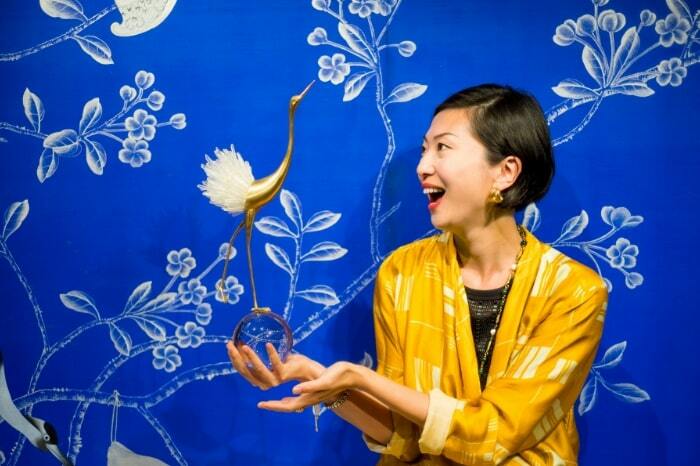 We’re a Hong Kong-based home decor company that focuses on high-end, handcrafted products with a strong focus on Chinoiserie. We’re a bit unique in that we do everything in-house, from material sourcing to owning our own production… We also have a team wholly endowed with design know-how, from the historical to the handcraftsmanship. This really gives us the flexibility for any bespoke work our clients are looking for. What is the latest collection you’re unveiling at COLOURLIVING today? We’ve unveiled an all-new wallpaper collection today that is very much inspired by a romantic flora-and-fauna Chinoiserie theme. For example, we’ve utilised the city’s famous bauhinia tree, replete with heart-shaped leaves, in one of our wallpaper designs. We also have our latest Pearls on Walls wallpaper that is elegant without being overpowering. 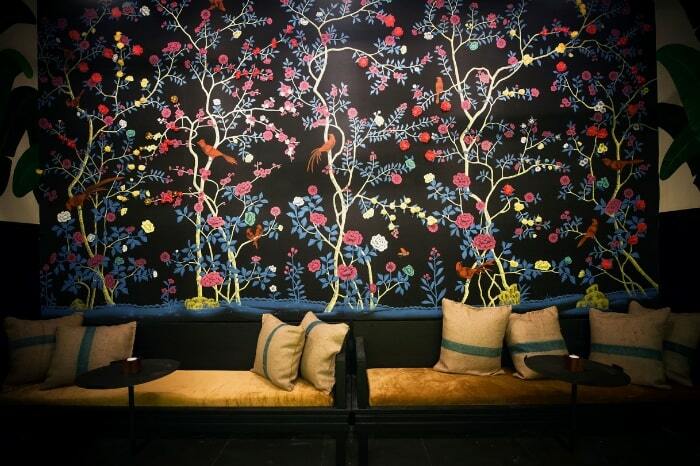 We also have our Red Wall, inspired by traditional Chinoiserie techniques but transformed with a modern touch. The entire collection was designed solely for our Hong Kong clients. It’s all hand-embroidered and handmade, no machines were involved.